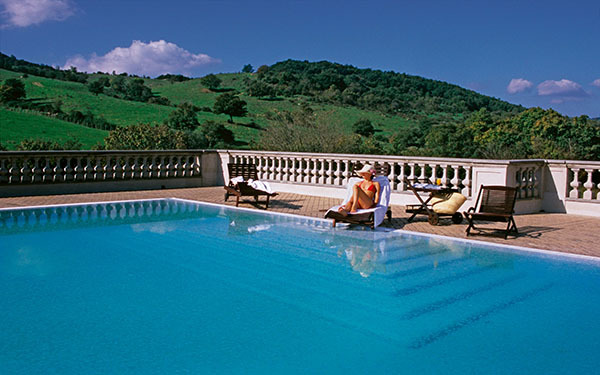 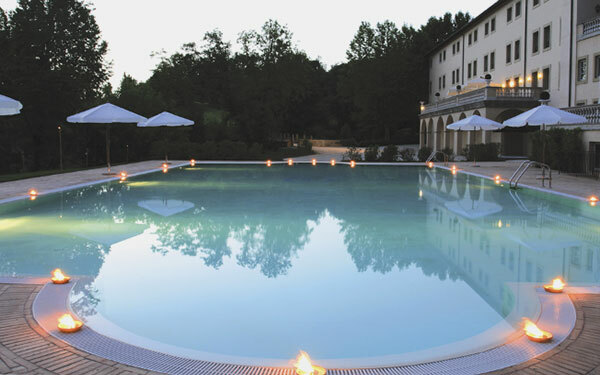 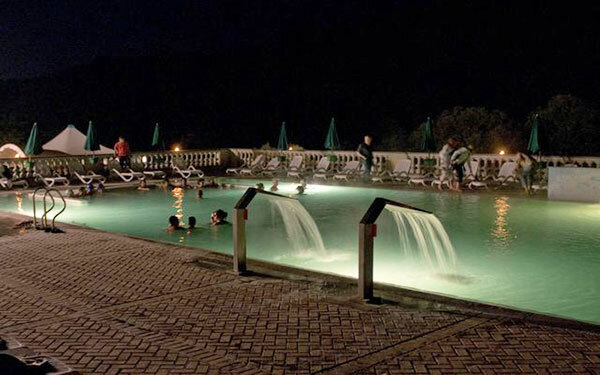 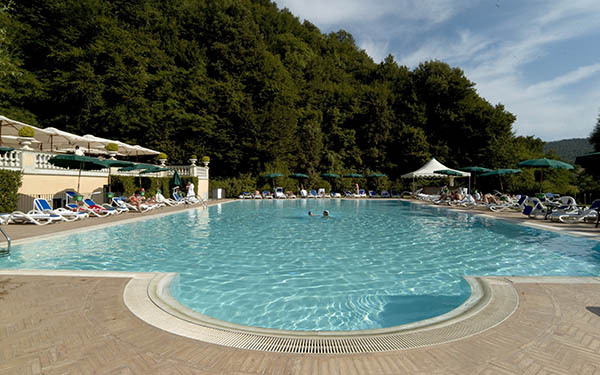 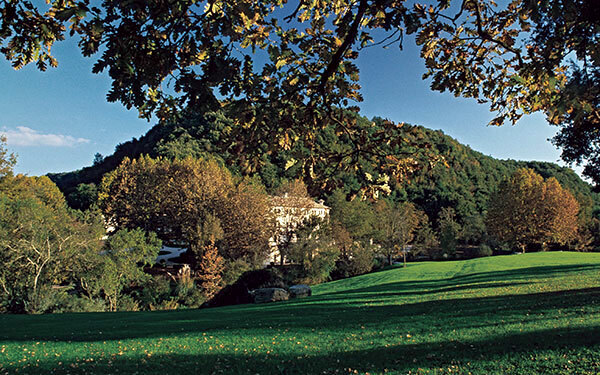 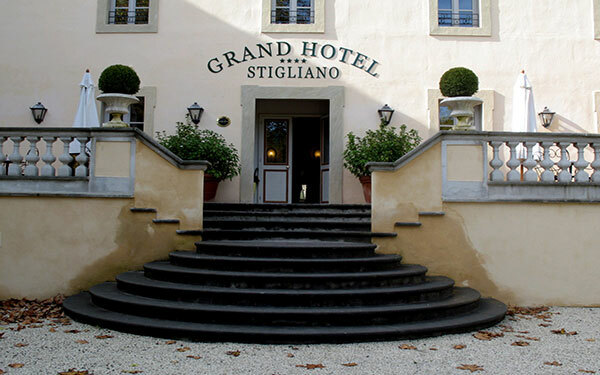 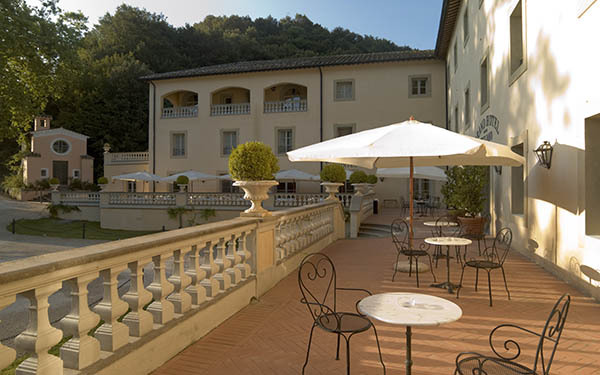 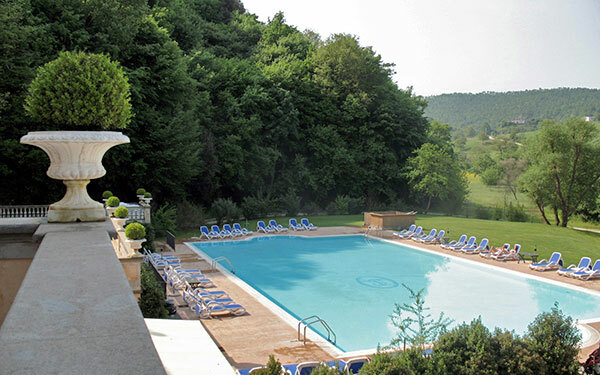 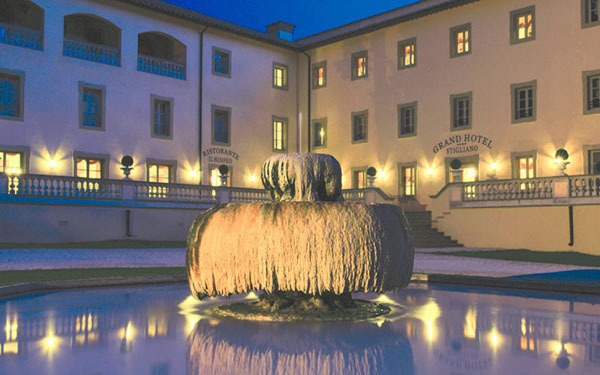 The Grand Hotel Terme di Stigliano was built in the 18th Century to relaunch this area as a natural spa area after it was neglected for a few centuries. 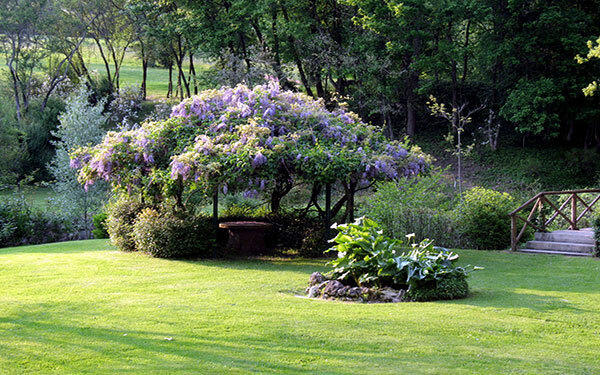 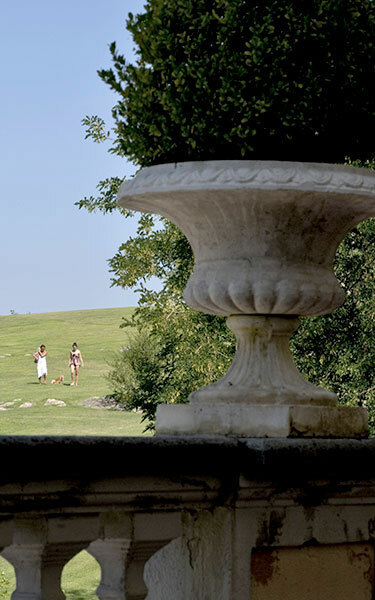 Built on the remains of Roman temples, this hotel is surrounded by a park that is over 20 hectares in size and which is home to ancient Roman thermae baths and is populated by rich flora, including numerous exclusive species. 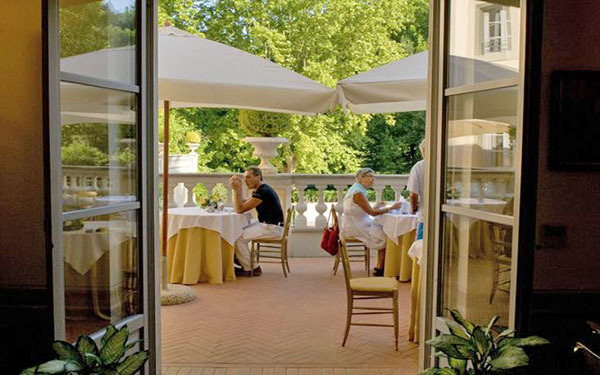 The atmosphere of this noble property is combined perfectly with the most up-to-date and best hospitality services, such as all the mod-cons guests would need and facilities that help guests relax, and all of this is enhanced by the beauty of the surrounding greenery. 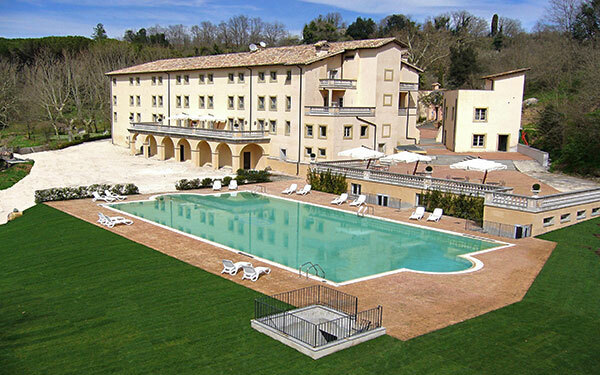 Stigliano truly is a natural spa location and it has lots to offer in terms of well-being, including the hotel’s internal health farm, Olympus, and the nearby Thermae Spa. 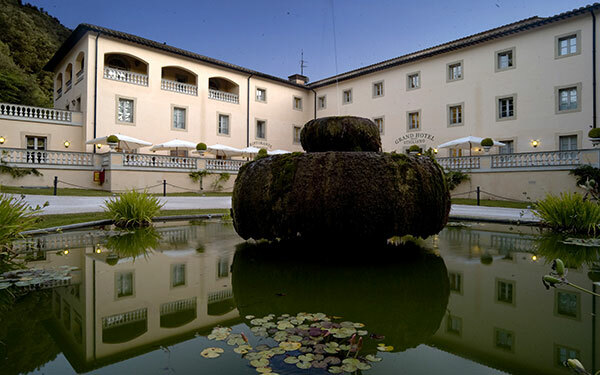 What is more, the hotel has a restaurant, il Ninfeo, a large, outdoor thermal tub and three meeting rooms, one of which can hold 70 people and, when used together with the halls and outdoor areas, it makes for the perfect location for meetings, workshops and incentive and team building events. 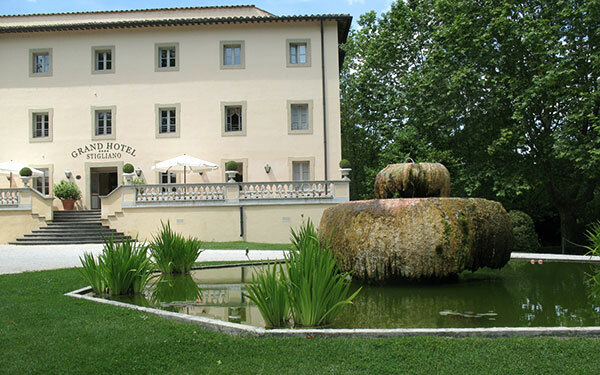 The hotel also has an ancient church in the park, named after Saint Lucy, and it can be used for weddings and ceremonies. 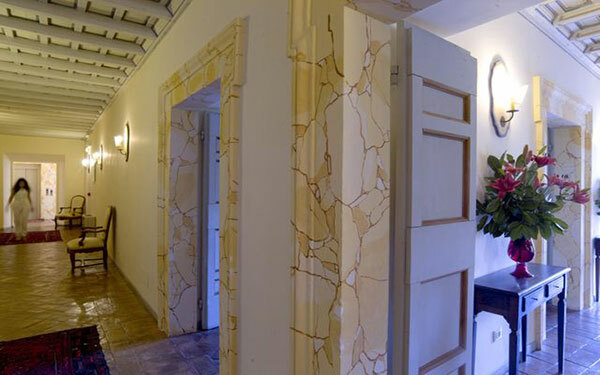 The spa at the Grand Hotel, Olympus, has 10 treatments rooms, 6 of which are used for massages and treatments. 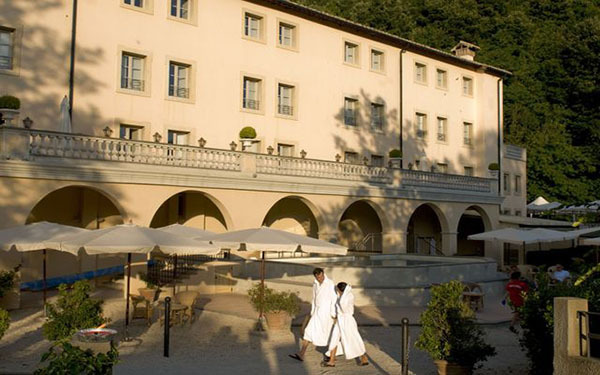 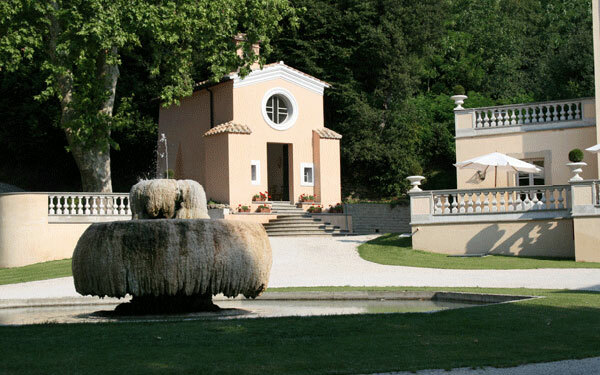 The ‘Ninfa di Sorgente’ programme proposed by the spa involves using the Turkish bath, multi-sensory shower, sauna with an ice bath, relaxation area with a waterfall, thermal Jacuzzi tub and outdoor, thermal tub (‘Sotto il portico di Venere’). 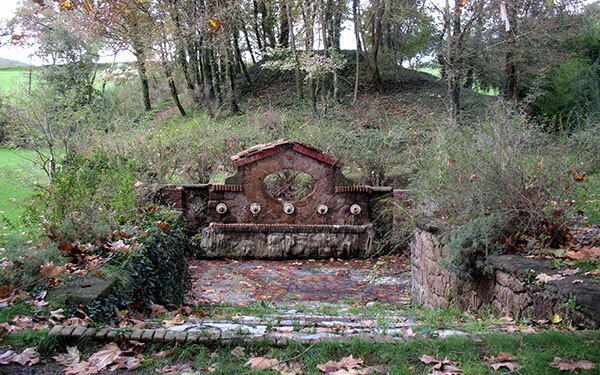 Not far from the hotel are the thermae baths, Il Bagnarello, underneath which is a sudatorium grotto which dates back to Roman times, and here you can actually listen to water flowing directly out of the source. 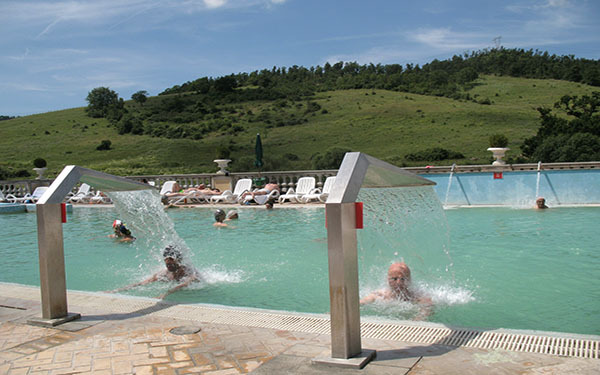 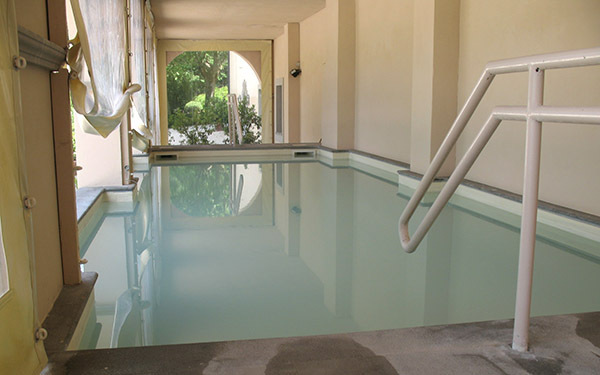 There is also a thermal swimming pool and thermal tub filled with sulphur iodine water, and the swimming pool in particular has a phlebologic circuit, central island for water massages, water jets that stimulate circulation and perform massages and a swimming machine inside it. 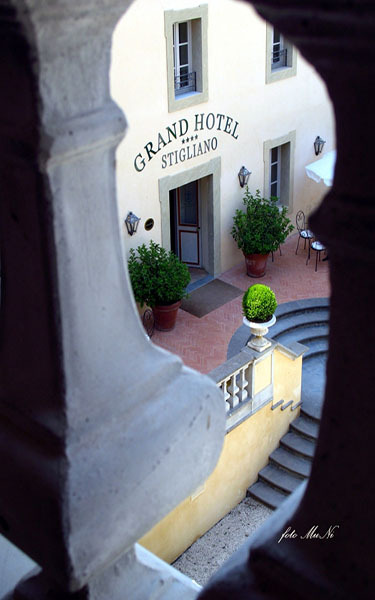 All 46 rooms are located in the main part of the Grand Hotel and they are divided into two categories – romantic and charming – and there is also an annex and two suites. 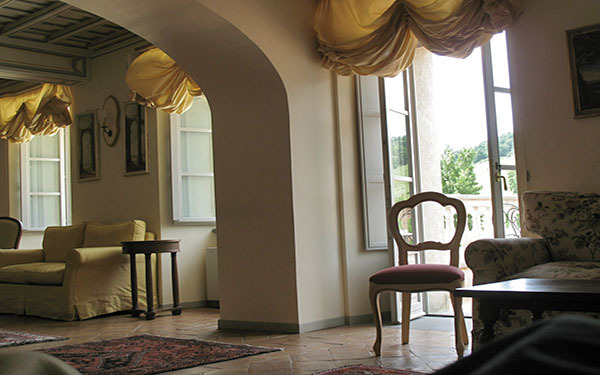 All rooms face the park and they are furnished in a style that recalls the class of the entire property, and they all have air conditioning, a mini bar, safe box, satellite television and an internet connection. 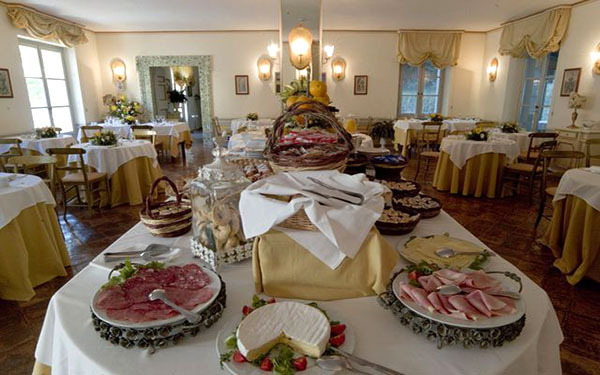 The restaurant at the Grand Hotel delle Terme di Stigliano, il Ninfeo, serves up the best dishes from the Lazio cuisine, all of which are made using local products, as well as a rich selection of international dishes. 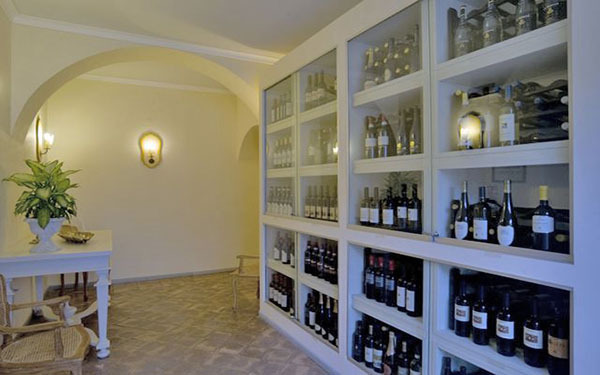 The wine cellar is also well stocked with both new and vintage wines, and these can be enjoyed at both the restaurant and the bar. 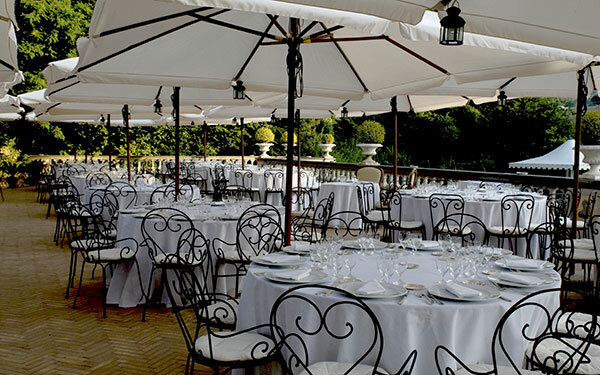 During the warmer months, guests can dine outside on the terrace. 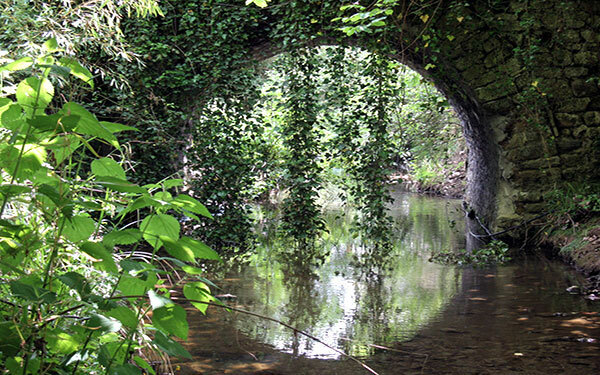 Stigliano is very close to Canale Monterano and there is lots to see in the surrounding area, including the remains of the latter town, which is now uninhabited, and the ruins of a castle, church and arched Roman aqueduct. 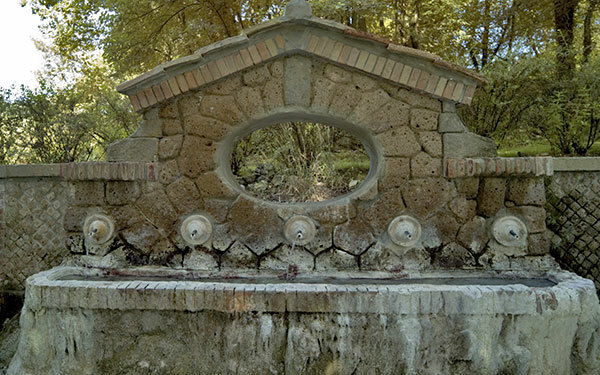 Eremo di Montevirginio is also easy to reach, as is the centuries-old park of Palazzo Patrizi at Castel Giuliano, where you can visit one of the biggest, private rose gardens in Italy. 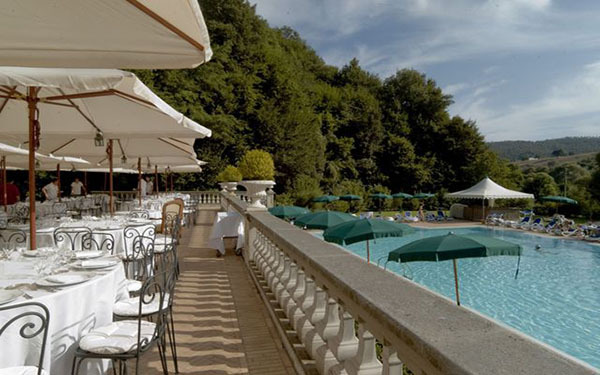 Lake Bracciano is also within a visiting distance and this lake is dominated by the Bracciano Castle, the building of which began in the second half of the 1400s and which, today, is home to a museum that is open to the public. 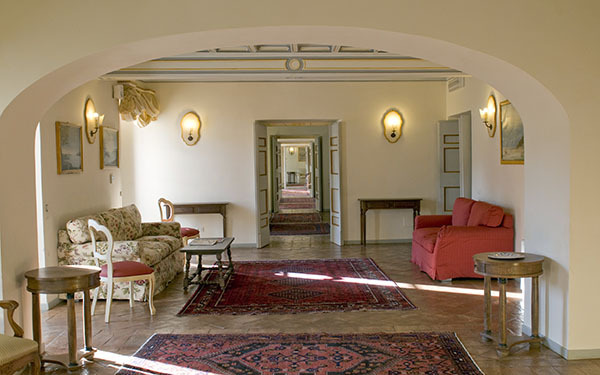 Oriolo Romano is also nearby and a visit to the Palazzo Altieri is a must since there is a collection of oil paintings inside this building which depicts, in chronological order, all the Popes, from St Peter to John Paul II. 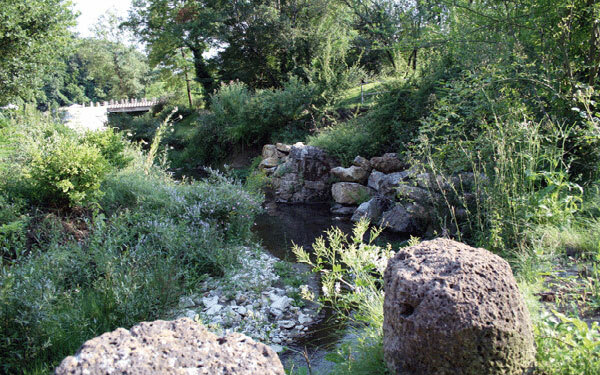 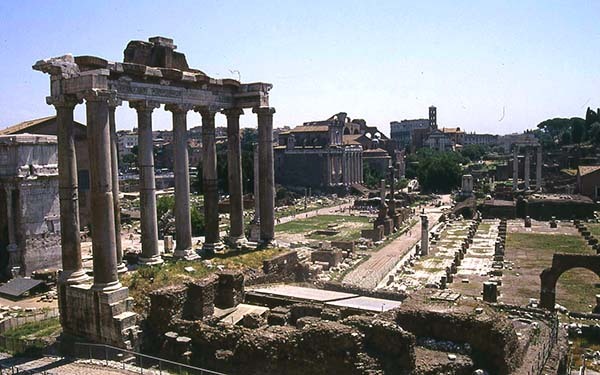 The natural resources of this area also mean that there are plenty of excursions, horseback rides and walking tours to go on, and other famous tourism destinations such as Cerveteri, Tarquinia and Rome especially are just a thirty minute car journey away.